Hoagies are on the horizon for Fairfax County. Wawa, the convenience store chain with a cult following, just reiterated its commitment to opening stores around the county, and said that the store models may be unique to the area. Wawa currently has two stores in Northern Virginia — in Sterling and Chantilly. It also has two locations in the District — a store new Dupont Circle that opened late last year and a new location in Georgetown that opened yesterday. 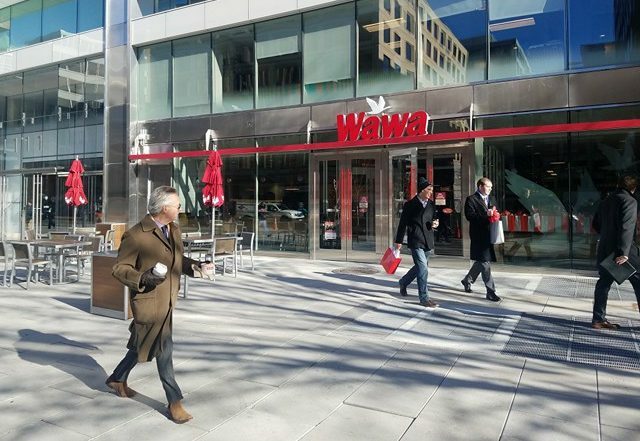 A Wawa rep confirmed to Tysons Reporter last month that it was “actively looking for new locations in Vienna and look[s] forward to sharing confirms plans and locations as they take shape,” leading to julibation on social media. The company has previously said that it is hoping to open 30-50 stores total in the D.C. area.